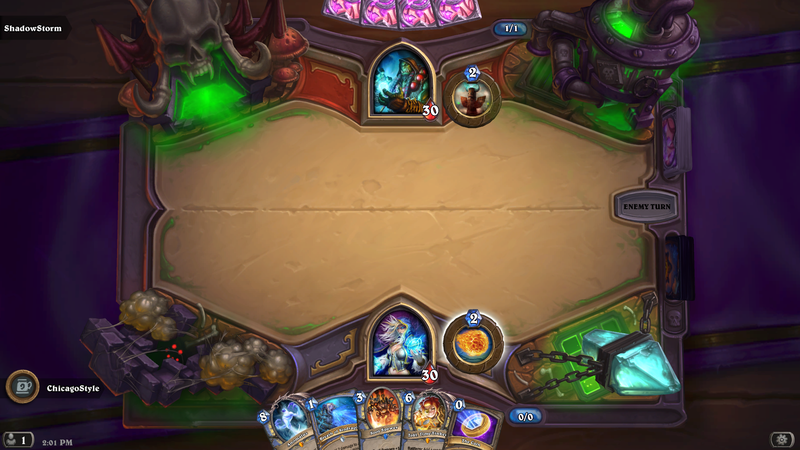 OK, so we have had this week’s Tavern Brawl a lot. Second to the Crossroads I think. 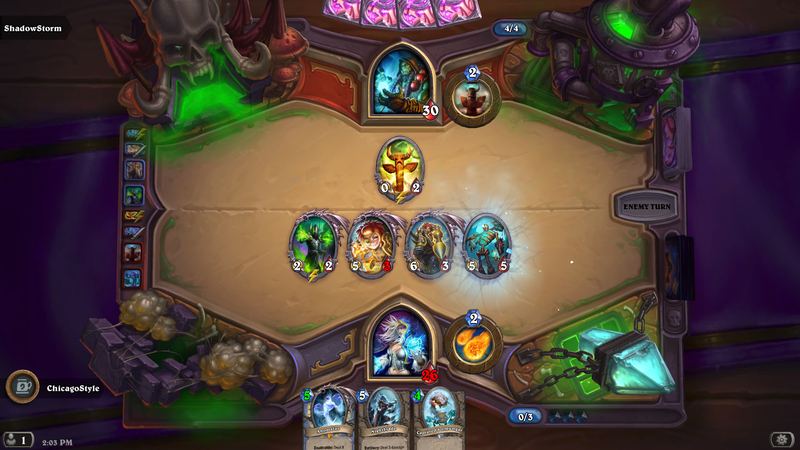 Anyways, you pick a class and get a random deck full of spells and minions. Each round the mana value for the cards changes. Hence, Randomonium. This battle is spectacularly random. Take that for what it’s worth. I pick the mage. You know I do. I even stuck with it after my first match goes pear-shaped. It looked good out of the gate. 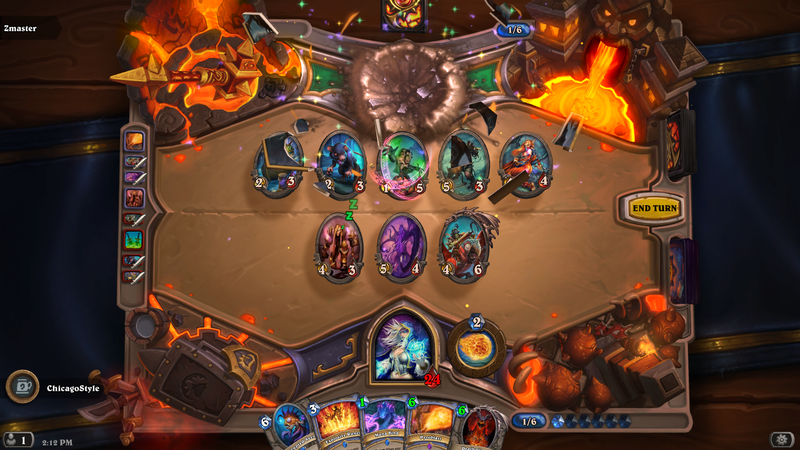 I had a nice mix of cards, got something on the board. At one point it was real lopsided. Then they play a spell (forgot what it was, but it took out 2 minions. Second match went much better. Totally one-sided, in my favor. Which, is how most of these battles shake out. This is one of those “one and done” brawls for me. I get my freebee and go on with my day. So have fun, get your pack, maybe have some more fun. See you next week! 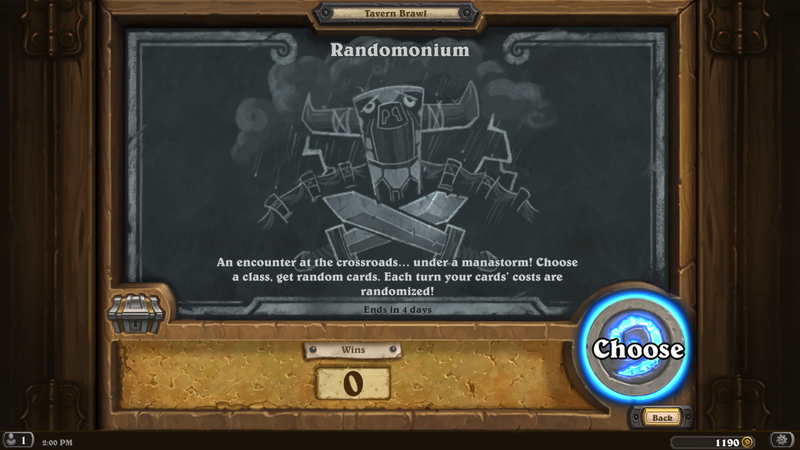 This entry was posted in Hearthstone and tagged Brawl of the week, Hearthstone, Randomonium, Tavern Brawl. Bookmark the permalink.